Dementia is a disease vastly misunderstood in our world today; yet it is on the rise. In fact, every 66 seconds someone in the United States is diagnosed with Alzheimer’s or another form of dementia. It is the sixth leading cause of death in America. One in three seniors die with dementia as one of their diagnoses. You may be shocked to learn that South Carolina has the highest death rate from dementia in the United States. If you are 65 and older, your chances of having dementia are about 12%. If you are 75 and older, your chances are about 22%, and if you are 85 and older, your chances rise to about 48%. In the state of South Carolina the fastest growing population is those 85 and older. Now before anyone panics, let’s talk about what dementia is and is not. Dementia (Alzheimer’s is one of over 70 different kinds of dementia) is a syndrome that involves a significant global impairment of cognitive abilities, such as attention, memory, language, logical reasoning, and problem-solving, severe enough to interfere with social or occupational functioning. Dementia is not temporary confusion or forgetfulness that might result from a self-limited infection, underlying illness, or side effects of medications. Dementia typically worsens over time. In diagnosing dementia, the criteria include impairment of attention, orientation, memory, judgment, language, motor and spatial skills, and function. So, if you forget that you left your car running, that’s okay as long as you remember you left it running and go back to turn it off. If you never remember you left your car running, that’s a problem. If you forget a word to describe something, it’s okay to use “whatchamacallit,” but if you never realize you forgot a word or never remember the word you forgot, that’s a problem. In addition many people don’t realize that some people with dementia have no issues with memory at all. Many actually deal more with poor judgment and reasoning and have perfectly fine recall. People are living longer and 10,000 people in America are turning 65 everyday. That is a huge number of people moving into the last third of life. Pastors are often not educated on senior care issues and, in particular, those related to dementia. People often come to their pastors first for advice and many pastors do not know how to counsel families about these issues. Nor are they educated themselves on how to connect with seniors with a dementia diagnosis. As a result many people with dementia and their caregivers stop coming to church. Caregivers are embarrassed by their loved ones’ behavior. Yet just as Jesus told the disciples to let the little children come to me, so does Jesus call our seniors. Some of the most meaningful spiritual and God-filled moments of my career have been connecting with a senior who just genuinely loves the Lord. Conversely some of the saddest moments in my career have been when a pastor stopped visiting a senior because they “would not remember that I had visited.” Seniors with dementia remember how you made them feel even if they do not remember your words. Dementia-friendly worship spaces provide an opportunity for the individual with the disease and the caregiver alike to be authentically themselves. Several churches could work together to host a dementia-friendly worship service for people with dementia and their caregivers. Sing familiar hymns. People with dementia can still participate in music and songs they knew in earlier years even as they start to lose their language ability. God created music amazingly to transcend dementia. Churches can host a dementia choir in which caregivers and people with the diagnosis can sing together. This also gives them something meaningful to do together and helps to create positive connections. Churches can understand the needs of both caregivers and persons with the disease. In the case of chronic illnesses, we often ask about the person with the disease and not the caregiver. With dementia, we just assume the person with the diagnosis can’t answer so we stop talking to them directly. Instead we talk about them, often in front of them! But we may not check with the caregiver him- or herself. We can come up with a list of things we can do, instead of simply saying, “Call me if you need anything.” Perhaps we need to explore respite programs for these caregivers. I only know of one such program in upstate South Carolina that provides four hours of respite care three mornings a week. Some churches provide “parents morning out” for young children. Why couldn’t a church provide “Caregivers morning out” for seniors? Seniors and children are amazing together. We could make these mornings intentionally intergenerational! In closing, I am reminded of a wonderful book and resource titled No Act of Love is Ever Wasted by Jane Marie Thibault, PhD and Richard Morgan, PhD. They remind us that both caregivers and care receivers need spiritual living water. Like the woman at the well in the Gospel of John to whom Christ offered living water, so too can we as the Body of Christ provide living water to nourish our fellow Christians along the journey that the psalmist called the “land of forgetfulness” (Psalm 88:12 NRSV). 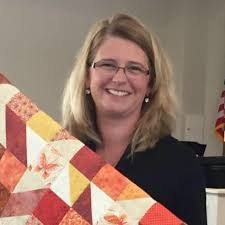 Karen Nichols is the executive director at Foothills Retirement Community, one of the five Presbyterian Continuing Care Retirement Communities in South Carolina. Karen is passionate about elder care, educating people on dementia, providing respite for caregivers, and weaving faith through all that she does. Thank you for a much needed observation. Churches do have a lot of work to do in their communities, but here are some definite ways to get involved and help[. Thank-you Karen for this insight. Your and your colleagues’ knowledge and understanding of dementia and the other special needs of your residents at Presbyterian Community are some of the many reasons my family is so grateful for your care of our Dad. Bless you!